StorDigital Systems are the UKs leading supplier of digital duplication and publishing technology. From Hard Drive duplication to USB key printing we have a product or service to meet your needs. Call us on 020 8293 0777 to find out more. Our latest product include a range of professional hard drive duplicators and a range of scalable USB duplication solutions. Can't find what you are looking for or new to duplication technology? Get in touch so we can understand your needs and guide you to the most suitable solution. StorDigital Systems is 100% UK owned. 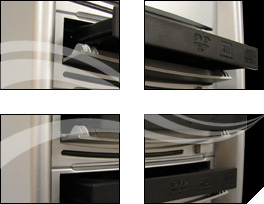 StorDigital Tower DVD and CD Duplicators offer the highest level of service and function. Used by broadcast production companies, government bodies, educational facilities and blue chip corporations no other tower copier offers you higher build quality. Standard Tower Duplicators. StorDigital offers companies and individuals an ideal entry level in duplication system. Premium CD DVD Duplicators. Running at a blazing 20X copy 10 4.7GB DVD in under 6 miuntes, HDD to DVD. Take advantage of the added capacity and better quality with Blu-Ray duplicators. The most productive, reliable, and cost effective LightScribe system on the market. Automated duplicators from 100 disc to 1000, burning on. Get fast, hi resolution, rich colour, glossy waterproof.